Since we get naib johan, but we come back home with NOTHING! No prize, no sijil, NOTHING at all! Everything our choir group get is still a mistery, other than sijils, that havent printed our name up there, so we dont get, and we also get a BOX…. we call that “Sea Master” box. haha,coz the size of the box is exactly like the mineral water sea master’s box! Seriously, a bit disappointed when looking at this, everyone get one, got blue, green, yellow, red colours! Some lauzy mechenical pencils, pens, (that some is no more ink) p/s: dunno is no ink or the ink kering ady…. 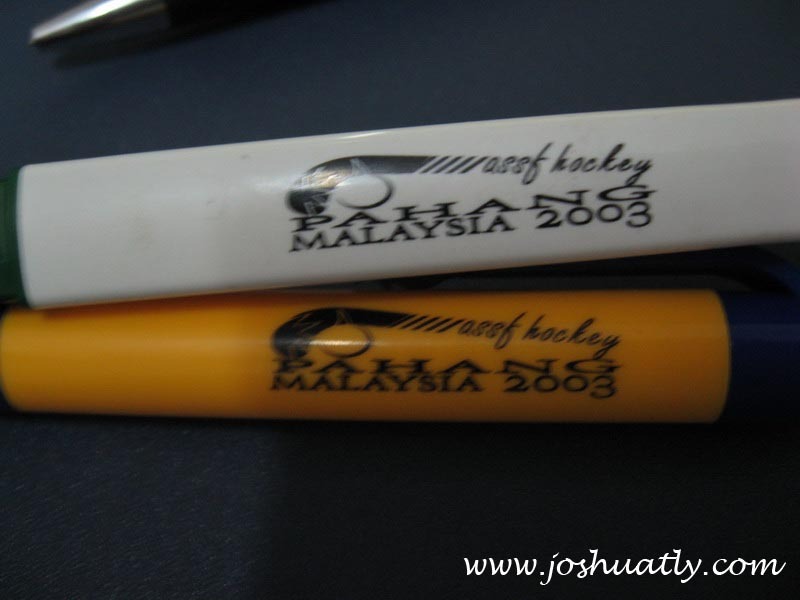 They written down: Assf Hockey Pahang Malaysia 2003. 2003? Do i read wrongly!!?!? WTF, give us cheap cheap de thing also nevermind, give us things that u all dun want ady de? then i need to think about what i can do with the “pencil box”. 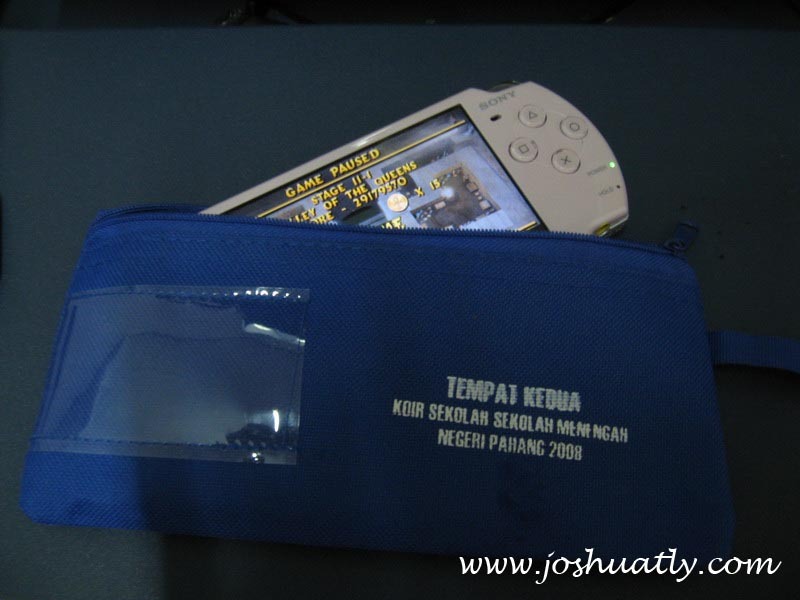 Put my psp inside to avoid sopt check in school! Haha, since i got bring my PSP to school sometimes! 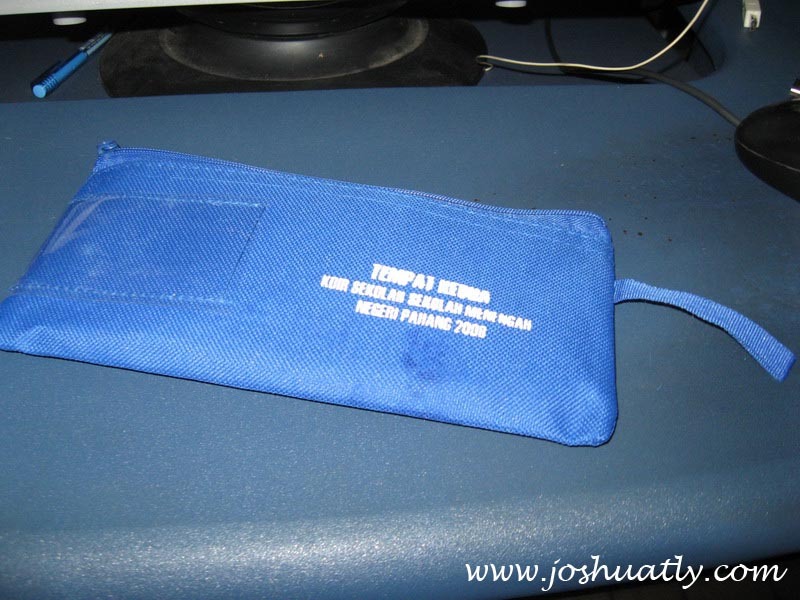 Still waiting for my sijil…. i think got two sijil i will get. I think the only thing we are getting for what we had done is only the sijil, and the kokurikulum marks! 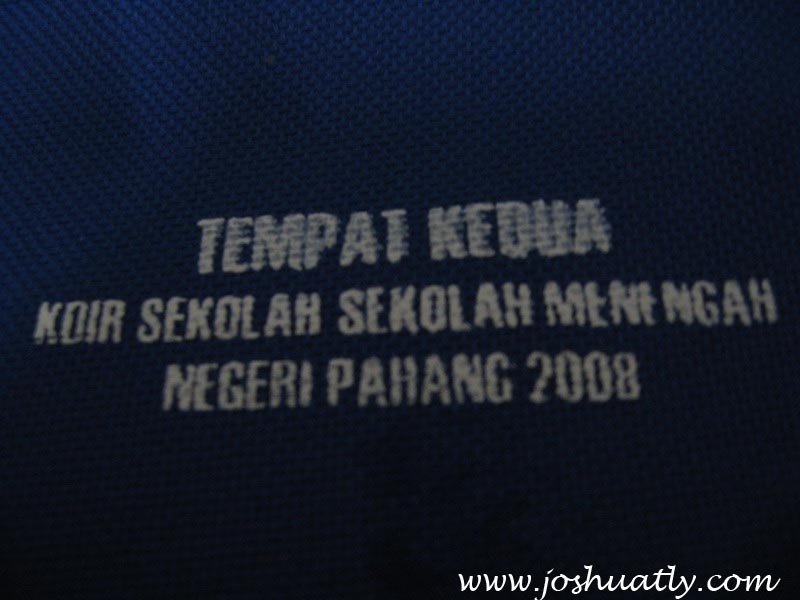 Haiz… they cant think of something that are suitable for us…..
9 Responses to Choir 2008:Choir prize-giving day! Back when I was in a choir and when we won first place, the prizes weren’t that good either. That’s why you should always take part in solo-singing competitions instead. Somehow they can “afford” to give you more stuff. I remember my prize for 3rd place for some singing competition was RM500!!! But as we all singers know, we take part not so much for the win, but for the chance to perform! And it’s not just loser talk!!! LOL! @Cyren: At 1st i also hope for getting cash for the whole tim, at least we can go and makan… but… we get RM 0 for it! Haha, belanja also use the club’s fund! Kesian betul! yalor, i also took that pencilbox. mine is green of course also very ugly, don’t take green color want .once you will very menyesal.your brother take which color? Really…sing so well 4 wat ?? 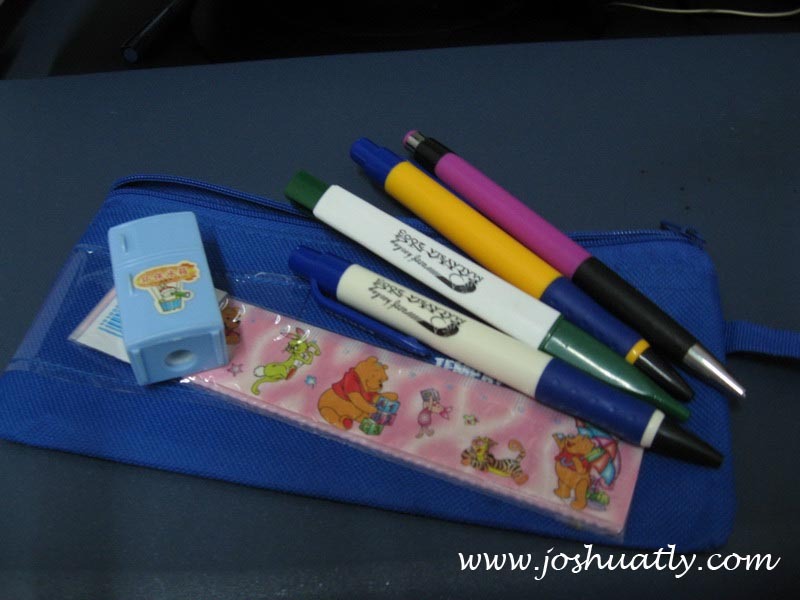 practice hard 4 months..ended up taking pencil cases wit KINDERGARTEN STUFFS…..
Know y ??? The kinders r getting SOOOOO IN !!!!! Just notice tat those pen do not have INK !!! Surprise !!!! NO INK !!!! We r thinking on how to celebrate…. Just eat at KFC !!! Dull stuff !!! Plz…tel me wat do u think….